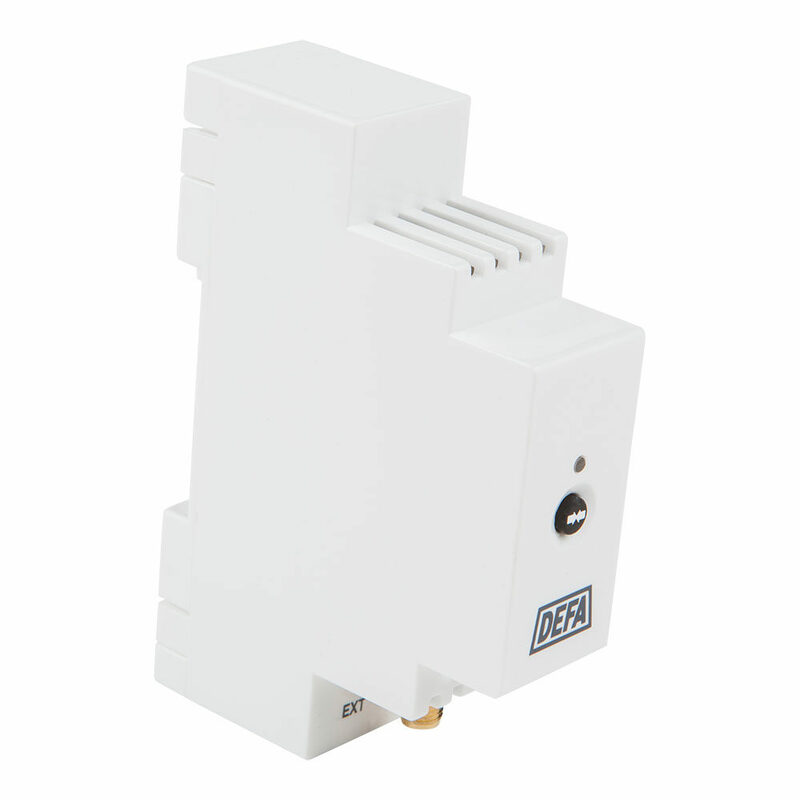 Control module for connecting wireless accessories from DEFA and Nobø to Base Unit PRO. Radio Module PRO is a control module for use with Base Unit PRO which enables use of wireless accessories from DEFA Home and NOBØ. It has a simple user and installation interface, with a connection button, a status LED, an extension cable and a port for the radio antenna. When you have installed the Radio Module, you can connect all DEFA Home wireless accessories to the system by using the pairing button. To add wireless products from NOBØ, the serial numbers of the devices must be added in the app or web interface. The product must only be mounted by a certified installer in a certified fuse box. Ensure that the installation is done by a certified installer. Mount Radio Module on the DIN rail in the fuse box. Connect the extension cable to Base Unit PRO or Base Unit PRO Ext, depending on which is mounted. Connect the radio antenna and place the radio antenna outside of the fuse box to prevent radio signal disturbances. The product is now ready for use.